Home/Upper Cervical Chiropractic/What Is Upper Cervical Chiropractic Care? 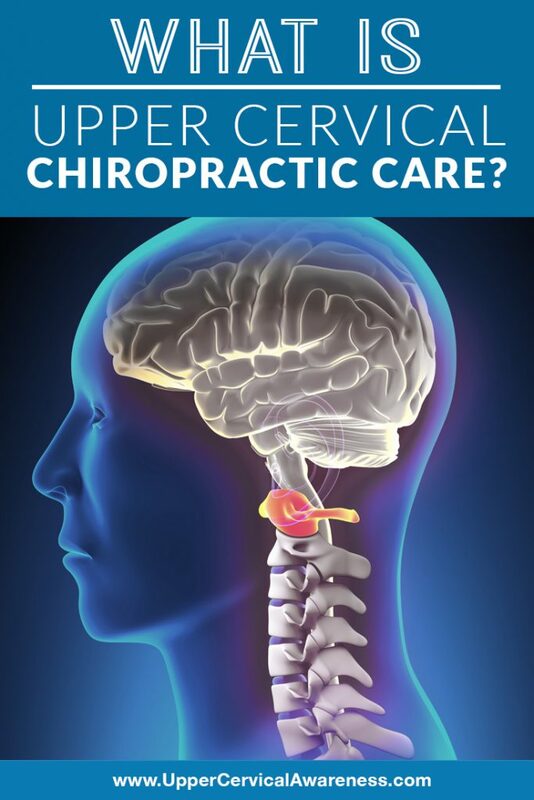 Is this the first time that you are hearing about upper cervical chiropractic care? Then we will address who can benefit most with the help of an upper cervical chiropractic doctor. Read on to learn if this is your best route to safe and natural improvement to your overall health and well-being. The first big difference when it comes to upper cervical chiropractic care is that the focus is placed on adjusting just the top two bones in the neck. These bones are called the C1 and C2 vertebrae or the atlas and axis. They play a very specialized role and are unique from all of the other vertebrae. Because they balance the head, even a slight misalignment in these two bones can result in changes throughout the spine. Also, because they are part of the cervical spine (7 neck bones), they help to facilitate blood flow to the brain via the vertebral foramen (tiny bone loops that offer safe passage to vertebral arteries). The atlas plays an even more important role. It surrounds and protects the brainstem right at the vital juncture where it meets the spinal cord. Therefore, even the tiniest misalignment can affect the function of the central nervous system by putting pressure on the brainstem and reducing blood flow. You may wonder how upper cervical chiropractors are able to target the C1 and C2 vertebrae precisely. After all, it is clear how vital this area of the body is. The wrong adjustment could make matters worse and affect the central nervous system in unpredictable ways. This is why upper cervical practitioners use modern diagnostic imaging techniques. You will often have three x-rays taken of your upper neck to give the doctor a three-dimensional look at the misalignment. Then, it is a matter of calculating the perfect adjustment. For this reason, you probably will not have your first adjustment the same day as your examination. The practitioner will need time to customize an adjustment to meet your exact needs. There are other types of imaging that may also be used. For example, thermography can help the practitioner to see the effects of the misalignment in action, revealing the reduced flow of blood and cerebrospinal fluid. It’s finally the big day! The calculations have been performed and you are ready to get the benefits of an adjustment. You lay on the table, and the doctor applies some gentle pressure by hand or maybe uses an adjustment instrument. The next thing you know, it is time to schedule your next appointment. What happened? Some patients may wonder if the practitioner even did anything. Then you start to feel the effects. While some patients may not notice anything until the coming days when weeks when long-term problems get better or go away completely. Other more sensitive patients may immediately notice things such as the fact that both legs are the same length after perhaps years of being slightly off balance. Whether you notice the effects instantly or in the weeks to come, the same thing holds true – the adjustments are very gentle and safe. The precise measurements that were taken translate into long-term benefits. Your practitioner may provide you with some tips for helping the adjustment last longer. Once the soft tissue around your atlas and axis stabilize, you can start to space out your appointments. However, the benefits will continue working. Therefore, this becomes a very cost-effective way to get safe and natural care. But what sorts of health problems may clear up when upper cervical care is received? This is just a sampling of the conditions that have been improved by upper cervical chiropractic care. In fact, in one study, upper cervical chiropractic was shown to help high blood pressure just as much as taking medications. What is upper cervical chiropractic care? While it is not some miracle cure for every ailment, it is a way to get the body’s central nervous system working optimally. Then the body can take over and heal the way that it should. For some patients, this has resulted in complete elimination of symptoms from conditions they were told they would have to live with for the rest of their lives. Even in less dramatic cases, upper cervical chiropractic care has helped to restore the quality of life for many ailing patients. If you would like to give this safe and natural form of healthcare a try, contact a practitioner near you today. The search feature on this website can help you to find a doctor in your area. UCM Social Media Team2019-02-02T17:02:14+00:00December 21st, 2018|Upper Cervical Chiropractic|Comments Off on What Is Upper Cervical Chiropractic Care?